If you are driving from Auckland City via State Highway 1, take exit 398 and turn left at the roundabout toward Dairy Flat Highway. If you are driving from North via State Highway 1, take exit 398, take the third exit at the roundabout toward Dairy Flat Highway. 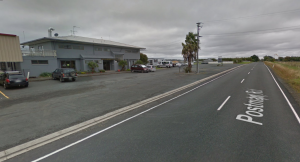 Follow Dairy Flat Hwy for 2.3km, turn left on Wilks Rd and continue for 1.1km, turn right onto Postman Rd, North Shore Airport main parking lot is located 1.0km down the road on the left, next to North Aero Club Building. Please pay parking fee at the main reception in advance. Parking fee of $5 for the first day and $1 for every day following will be charged. If you extend your stay please notify the Airport reception, and we can arrange payment.